The importance of prayer to Christians cannot be overstated. 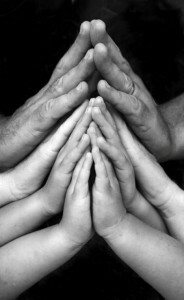 Prayer is integral to Christianity. Prayer represents the most important connection that people have to God: addressing him personally and invoking his presence in their lives. Church culture can seem strange to non-Christians because of how prayer-centered it is. A great deal of time is devoted to prayer, both within a church service and within Christian culture at large. Christians pray before meals, important events, big decisions, in times of need and on a number of other occasions. They pray together collectively and alone privately. Prayer is important to Christians because it is affirming, relationship building and revealing. The importance of speaking prayers is strongly embraced within the church. Christians believe that words are alive and are a type of energy that affect life circumstances. The belief is that God gives people a certain level of spiritual authority over circumstances, and the words we speak are the affirmation of that authority. If we speak negatively, we inspire negative circumstances. If we speak positively, we inspire positive circumstances. When we apply this to prayer, we realize that we can help or hurt a situation with the direction of our words and whether or not they bring glory to God. Prayer is a person’s primary way of connecting with God and forming a relationship with him. This is a sacred tradition to Christians. Their belief is that they can come before God, in humility, honesty, need or in any other state, to address him and communicate with him. But the practice does not end there. Christians believe that God activey communicates back to those who speak to him. It is obviously not in the same vocal way we communicate to him, but when we are open to receiving whatever form of communication he sends to us in his timing instead of ours, we can be blessed with clear, profound communication from God. Through prayer, we discover things about our own nature and things about God’s nature. The ongoing practice of prayer reveals God and his purpose for our lives to us. This is why one cannot afford to miss out on prayer.